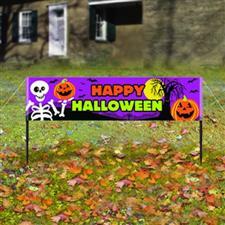 Decorate your lawn for Halloween. 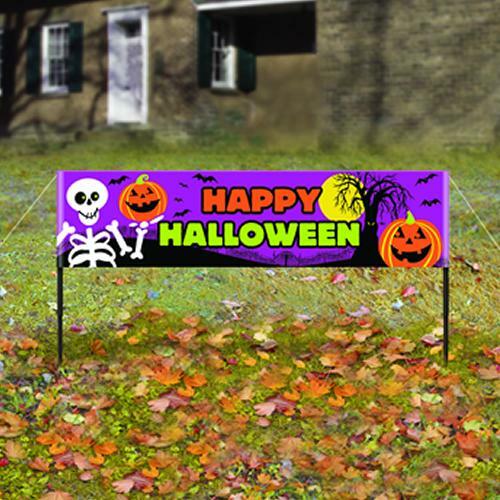 This sturdy vinyl Halloween lawn sign measures 63" x 15" and comes with 2 poles measuring 36". Lawn sign features pumpkins, skeletons and a haunted tree. Comes with 2 poles measuring 36"